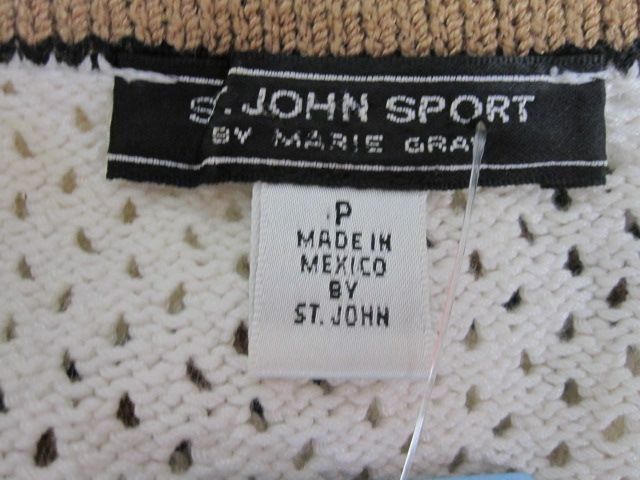 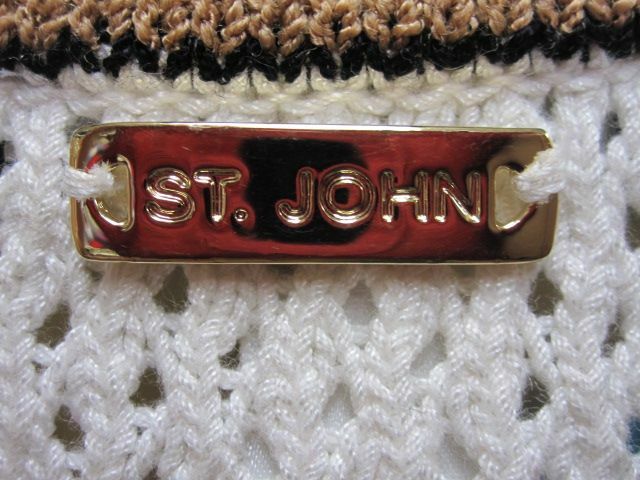 Click the button below to add the St John Knit SPORT White Brown Black NEW LOGO Open Stitch Shell Size P to your wish list. 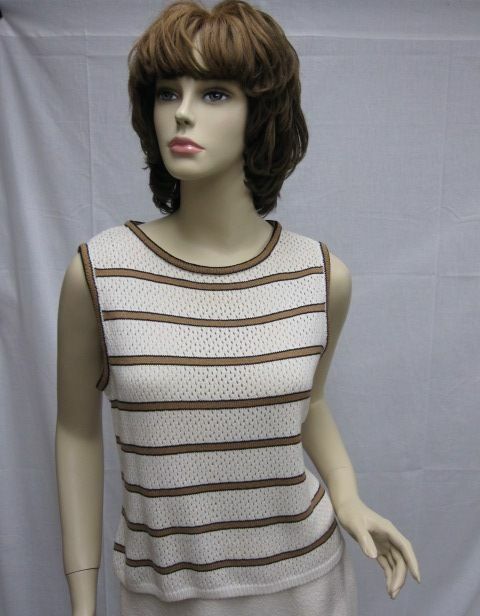 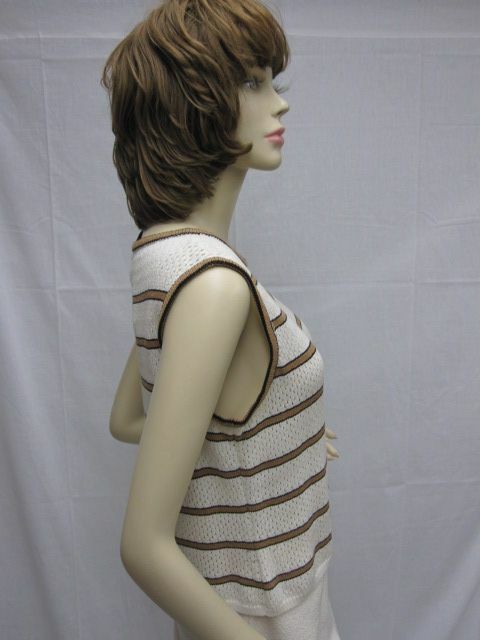 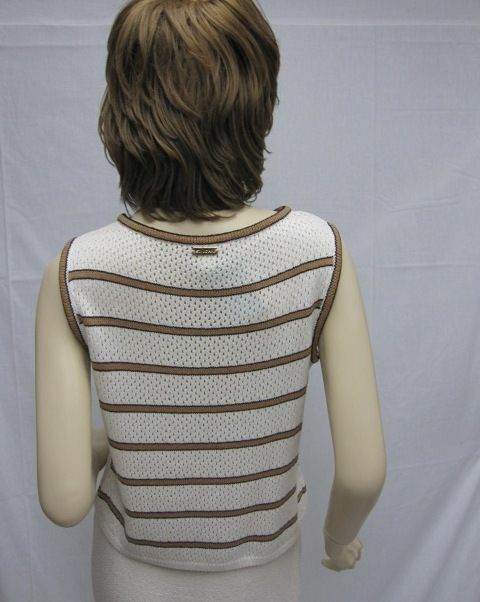 CLASSIC 4 You St. John Knit SPORT White Brown Black New without Tags LOGO Open Stitch Shell Size P. This beauty features Santana knit, open stitch, a brown and black trim, and a gold logo in the back. 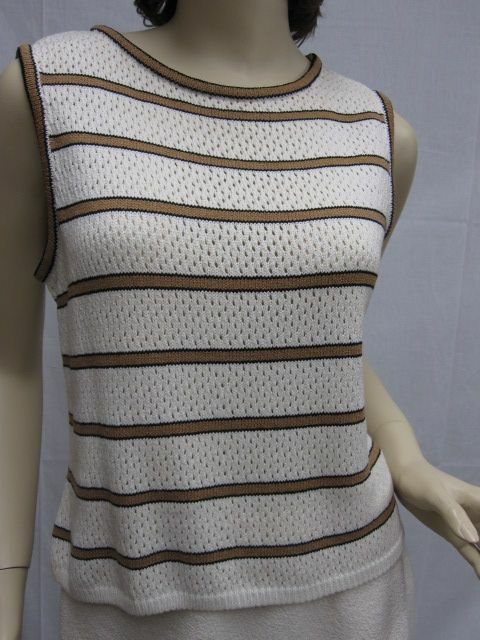 This top is new without tags.